If you’re struggling with post-traumatic stress along with co-occurring depression, anxiety or substance abuse disorders, you need treatment from professionals who understand the fire service culture and the unique pressures of your job. The IAFF Center of Excellence connects you to best-practice, evidence-based therapies delivered by clinicians who understand the types of trauma you experience on a day-to-day basis. Center staff cannot discuss your treatment with anyone — your fire department, family or friends — unless given explicit permission by you. This applies before, during and after your stay at the IAFF Center of Excellence. With seven treatment centers across the United States, the continuum of care provided by Advanced Recovery Systems is unsurpassed. 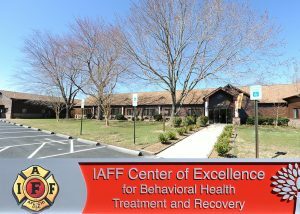 The IAFF has partnered with Advanced Recovery Systems to provide members with specialized treatment for the everyday stressors that trigger PTSD, behavioral health disorders and substance abuse. Address: 201 South Acacia Ave.